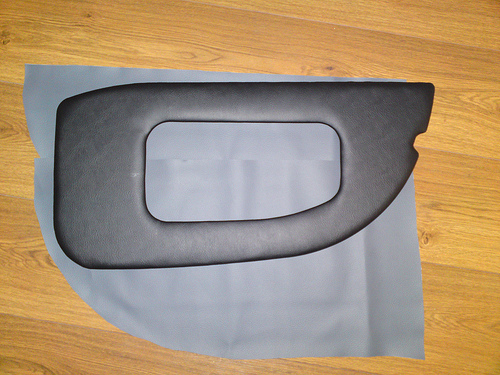 A pre-formed fibreglass dash can be purchased from Pilgrim, this can be covered as required……more on this later. Another option is to make a dash from scratch, this will give you the option to totally customise the dash and can work out very cheap. Below shows a dash made from 7mm plywood, covered in vynl with ETB Gauges and stainless steel inset panel. Note that these switches are not suitable for SVA. When making a dash it's worth starting with a template made from something stiff and cheap like hardboard as this will allow you to experiment with the shape and layout. 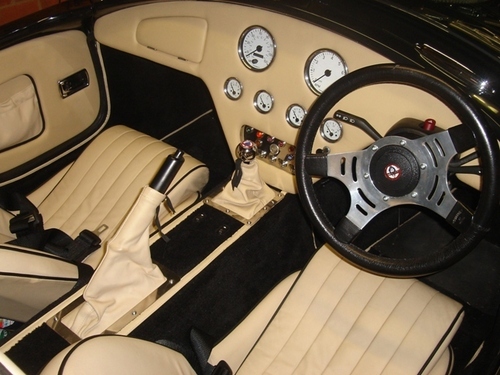 Before you cut out or fit the final dash you should temporarily fix the template in the car and then sit in the car in the driving position and check that there is nothing in the way, such as your clutch leg rubbing on the edge, steering column shroud fits etc. Here is a ply dash before holes are cut for instruments etc or covering. To fix the dash into the car you use the lip on the underside of the scuttle area, bolts can be put through here with large washers on the back, 4-6 bolts should be enough. 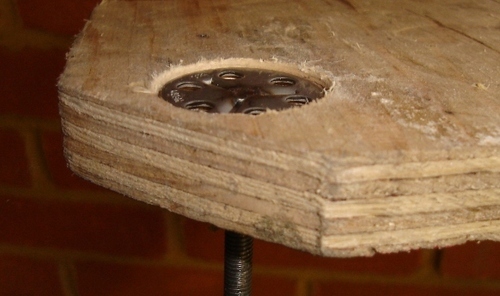 If you are making a dash from ply you need to consider how to attach the bolts to it. They must be fixed so you can tighten the nuts from behind and also fit flush to the dash so the heads don't show through the covering. The "Car is born Video" shows one option, cutting down the bolt heads, but this is not great. Another option is to fit BigHead fasteners. These are fasteners with large flat heads they pre drill with lots of holes in the head to give it grip. Something like the M1/B30 is ideal. If you drill too deep, as long as you haven't gone right through you can simply fill with resin. To prevent the bighead rotating, it can now be fixed in with epoxy resin, simply fill the hole with resin and push the head into it and leave to set. 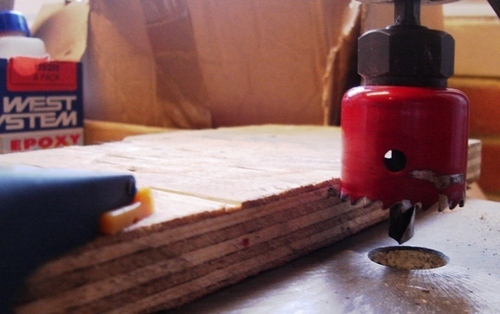 If when the resin sets it isn't flat, simply file or grind it perfectly flat. Once you've got the dash cut out it needs to be covered. Its worth remembering the requirements on the edge radius when covering the dash. The lower edge above where the passengers legs will go must have a radium of 19mm (check this) to pass SVA. To achieve this you can either fix something to the back of the dash prior to covering or pad it after its covered to get you through the SVA. Ideally what you do will stay there permanently as it will prevent injuries in the event of your passengers legs hitting the underside of the dash. The foam you fit under the cover should be glued on using a decent spray adhesive and make sure that it is wrapped round the edges slightly to stop the cover rubbing on the edge of the wood but also to give a much better finish. 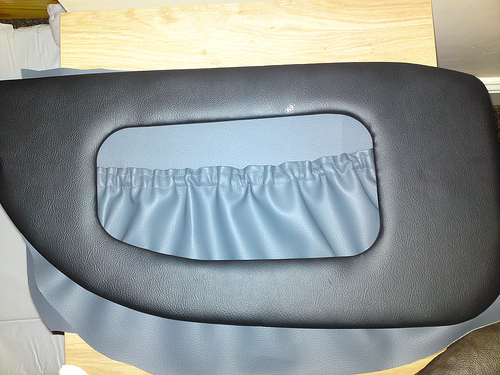 At the back of the dash, pull the cover tight and staple at close intervals. There are many types and designs of instruments that you can fit into a Sumo, you can go for authentic or modern and the number of gauges you fit is again a personal choice. 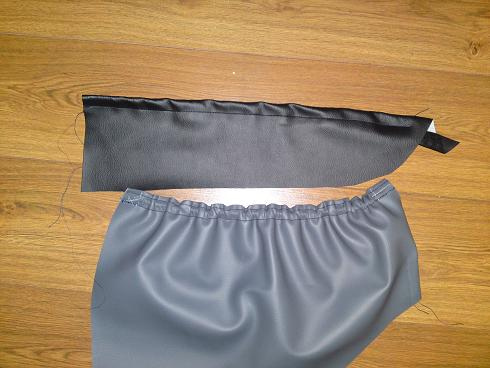 There is a comparison of an ETB and a Smiths Speedo. The door cards are fairly simple, they can be purchased from Pilgrim as part of an interior kit or simply made from thin ply and covered to match the rest of the interior. Here is a freshly made plywood door card. This template has a large hole cut out to act as a map pocket, the back will be lined with taught vynly and the pocket made from leather. Map pocket fronts need to be leather rather than vynl to get a nice curtain effect…if thats what you want. One area that needs to be considered is how to attach them too the doors. One option is to use press studs that are fitted into the door cards and push into holes drilled into the doors. 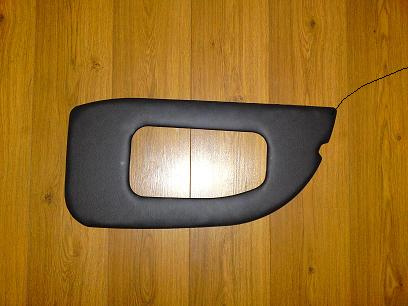 The best way to do this is to cut the door card to the required shape and then fix it to the door in the required position and drill holes through the door card and interior skin of the door, that way they will line up perfectly. Here is an example of the type of studs that can be used, 6 per door is probably sufficient. An alternative is front fixings, these can be made to look good with head covers or chromed surrounds. Below shows a completed door card with map pocket and hidden fixings, this example was made and sent to be professionally covered by Interior Seating of Mansfield to match the supplied seats. I used the following tools and materials to make my door cards. 8mm plywood had some offcuts from Dove building supplies free. Sewing machine stolen from mum. I glued the upholstery foam to the door card, a mistake I made here was to cut the foam the exact shape of the door cards, it should overlap or cut approx 1mm shorter to give a sharper edge. I cut some vinyl to shape and heated it on a portable oil heater to allow it to be stretched easier. I then stapled it to the door card. Press studs can be hidden behind the foam and vinyl for an alternative to screws when it comes to fitting the cards to the doors. 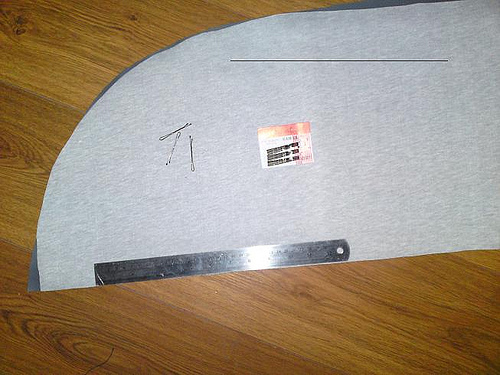 I cut pieces of material for the curtain effect map pocket and the centre of the door card. The map pocket should be cut approx 50% wider than the centre space. I had a few practices with the sewing machine and some scrap material and made a couple of map pockets in black and a couple in grey. Playing around with different colour stitching and different stitching patterns. I used a metal ruler to fold the vinyl over twice (a French seam so I'm told) and clipped it in to position. I then ran a stitch 10mm across the top followed by a 24mm stitch. This created a nice channel to thread the elastic through. I stitched the elastic in to the channel at one end pulled it taught and stitched at the other end. Giving a nice curtain. I then stapled the curtain on to the back of the card followed by some backing. I don't think the finished product came out to bad and may have a go with some leather in the future. Don't worry I know I still need some door handles. I chose to have a go at doing my own door cards because I looked at getting my dash and door cards trimmed prices ranged from (forty bob and a button?) 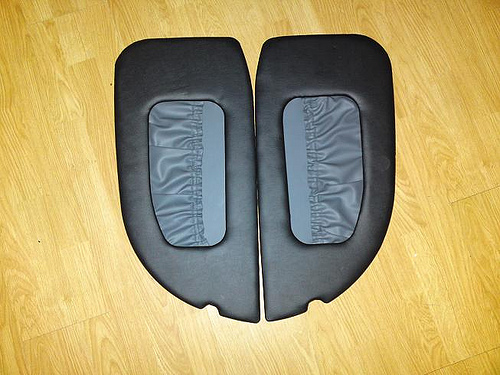 £190 - £300 + VAT in vinyl and £450 -500 in Leather. I thought I would have a go myself after pricing some leather at £28 and Vinyl at £8 a meter. I went for the vinyl since I had never done any upholstering before. On my first few practice attempts at stitching the curtain I found my stitching was not to straight but this did not seem to be to noticeable as the curtain hides any wobbly lines. However I found after a couple of attempts using a sewing machine is not difficult. After an hours of trying to work out how to thread the sewing machine I reverted to doing some research on the net and everything went smoothly after that. I found I had plenty material left over. Fabricaz sell various colours and types of vinyl 54” wide at £5-8 meter. 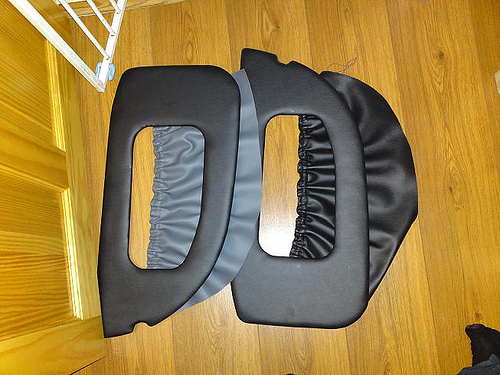 I am sure there are many other suppliers and possibly at a better price but I found cost/quality was good and the fabric was easy to form, cut and stitch.